Gift Idea! 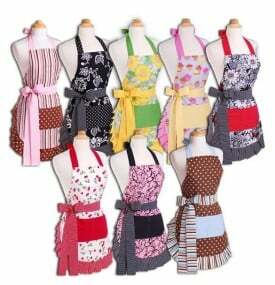 Flirty Aprons: Save 40% on EVERYTHING + Free Shipping! Today only, Flirty Aprons is celebrating Cyber Monday with 40% off everything in their store AND free shipping when you use FlirtyAprons.com promo code CYBERFLIRTY! The site is very busy right now, but I know you can be patient while they work with all those deal-seeking customers!